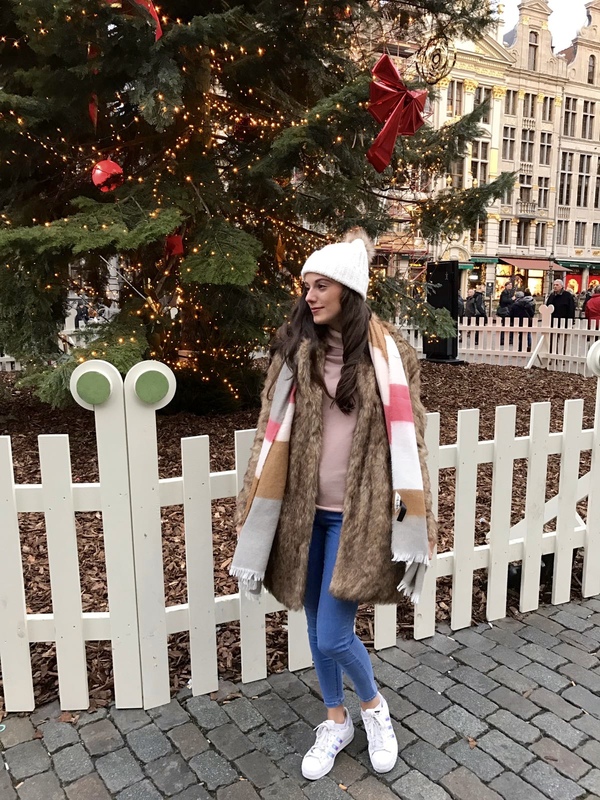 Brussels was rather chilly, but this cosy outfit kept me nice and snug while I explored the Christmas markets! This fur coat is my FAVOURITE item of clothing this winter! It’s so cosy and can also dress up any look! I think the pink and cream colours in the jumper, hat and scarf compliment the coat perfectly. I liked that I managed to stop myself from falling into the trap of wearing all black and grey which I often do, particularly in winter! Check out Miss Selfridge at the moment for their amazing sale items! I managed to get the scarf at the reduced price of £7… what a bargain! 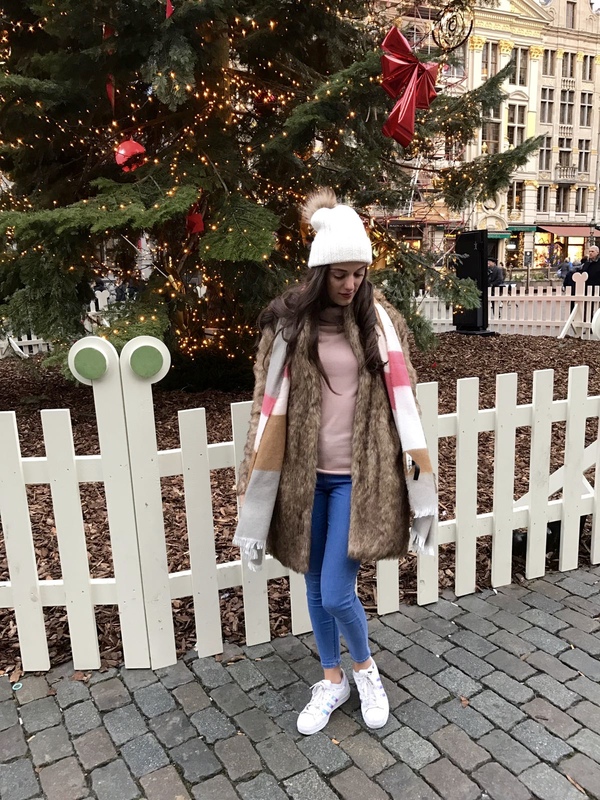 What is your favourite winter fashion look? !